2005 16 month Wall Calendar - full color - has 14 paintings from the 1976, 1977 and 1978 calendars, and numerous sketches, photos and quotes from Greg and Tim. 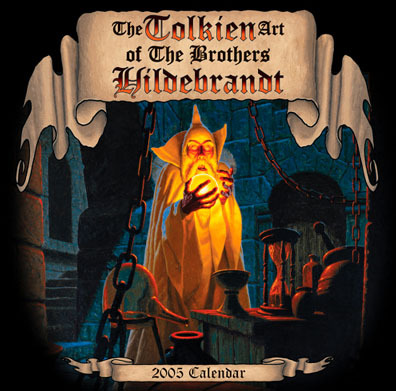 A short running text about the Hildebrandts is also in the calendar. A MUST HAVE FOR ALL TOLKIEN FANS!